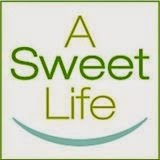 My name is Melissa Lee and my blog is Sweetly Voiced. As a writer and singer, I've always had a clear and unique voice. Don't know how I'll come across as a blogger - I've been struggling for a long time with the idea of laying it all out here. I'm loud and ostentatious - not always sweet - but this will be my attempt to sprinkle the blogosphere with my own crazy brand of sugar. My posts will no doubt be sporadic and erratic - bananas in my hair, prying my insulin pump from her ever-exploring fingers, juggling aspiring teen pop stars in my never-clean house. We'll have a good time though. Just follow the sound of my voice. I am so excited your voice will be here!!! I LOVE the name of your blog! So creative!!! I have always loved your writing! Can't wait to read more. How am I only finding out about this NOW?? ?